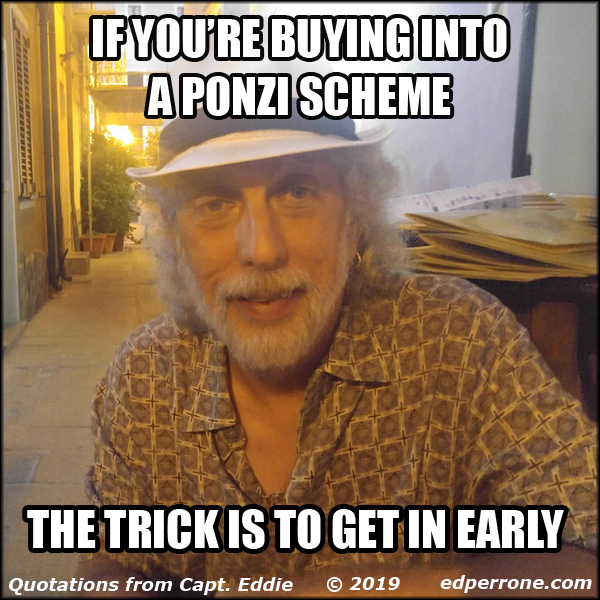 If you’re buying into a Ponzi scheme, the trick is to get in early. 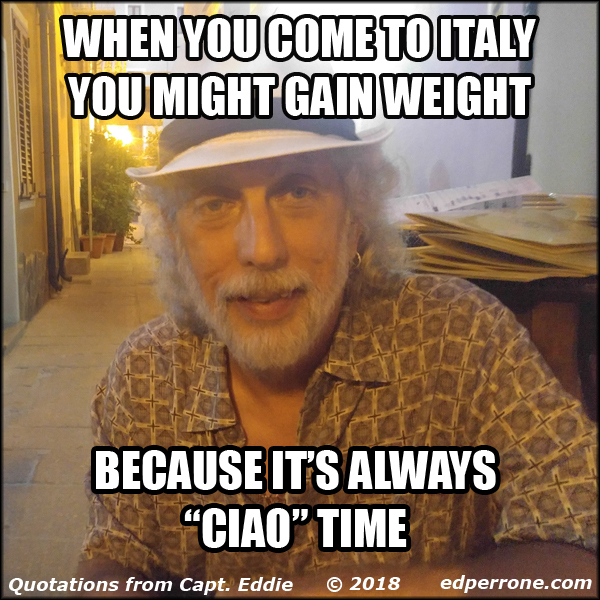 When you come to Italy you might gain weight because it’s always “ciao” time. 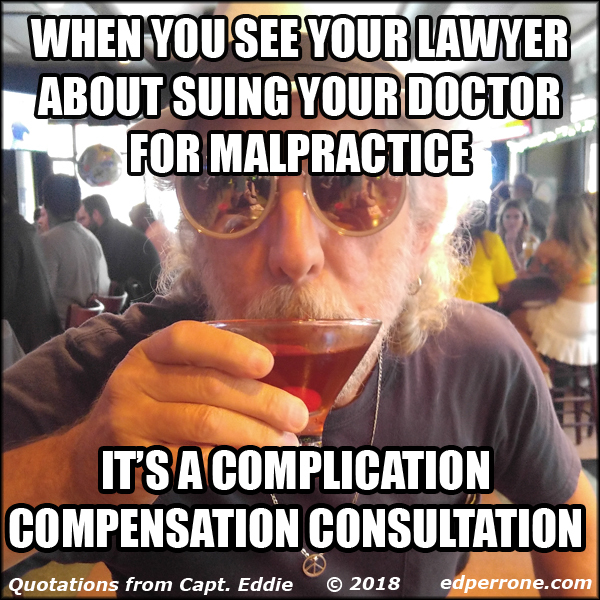 When you see your lawyer about suing your doctor for malpractice it’s a complication compensation consultation. 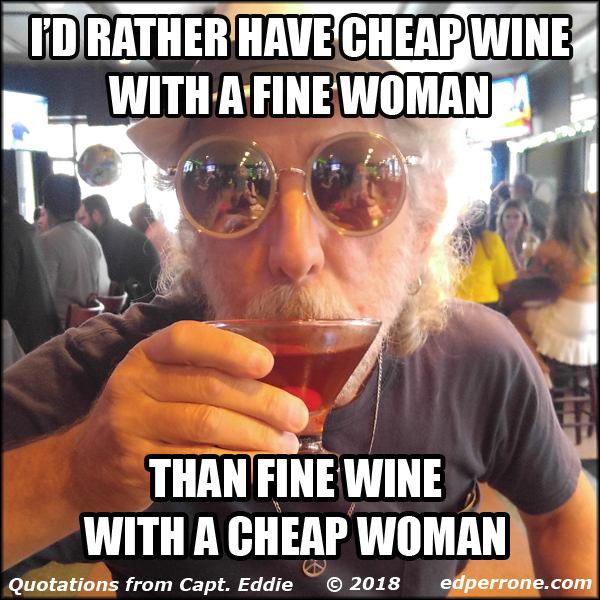 I’d rather have cheap wine with a fine woman than fine wine with a cheap woman.